Review compares the effectiveness of pharmacological and non-pharmacological interventions for improving physical health outcomes in people diagnosed with schizophrenia. A study recently published in World Psychiatry reviewed meta-analyses of pharmacological and non-pharmacological interventions for improving physical health outcomes for people diagnosed with schizophrenia. The study authors found that non-pharmacological interventions were more effective than pharmacological interventions for weight reduction and overall health, with individual lifestyle counseling as the most effective. “People with schizophrenia have substantially poorer physical health than the general population, which is often attributed to an interaction between social circumstances, lifestyle factors and treatment effects,” the authors write. 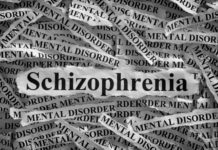 The researchers note that people diagnosed with schizophrenia are at a higher risk of physical health conditions, including cardio-metabolic diseases, respiratory diseases, and chronic pain, among others. In addition, studies have demonstrated that persons with schizophrenia experience significantly shorter life expectancy. This risk is exacerbated by lower levels of physical activity, higher rates of sedentary behavior, food intake, smoking, and psychiatric medications such as antipsychotics, mood stabilizers, and antidepressants. Vancampfort and colleagues conducted a meta-review of meta-analyses to examine the efficacy of both pharmacological and non-pharmacological interventions for improving the physical health of persons diagnosed with schizophrenia. Twenty-seven meta-analyses, accounting for 47,231 participants were included. 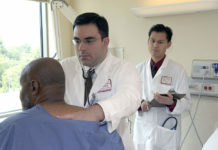 Outcomes assessed included: body weight, body mass index, waist circumference, waist to hip ratio, android/gynoid ratio, visceral fat, blood pressure, glucose, insulin, homeostatic model assessment of insulin resistance, Hemoglobin A1c, triglycerides, cholesterol, functional exercise capacity, and adverse drug reactions. Individualized lifestyle interventions had significant effects for reducing body-weight, which the authors suggest may be because this approach enhances the ability to meet patient-specific needs, personal advice and attention, and includes a tailored action plan. Cognitive behavioral treatments for weight loss showed small and medium effects for weight reduction. There were no beneficial effects for physical health outcomes found for fluoxetine, ranitidine, orlistat, dextroamphetamine, and famotidine. Topiramate was effective in reducing LDL-cholesterol, weight, body mass index, waist circumference, and triglycerides. Metformin, similarly, had an effect on weight, cholesterol, fasting glucose levels, and homeostatic model assessment of insulin resistance. Switching from olanzapine to quetiapine or aripiprazole had a medium impact on fasting glucose while aripiprazole augmentation had a substantial effect on waist circumference and a medium impact on body weight. The authors conclude that for weight reduction, individual lifestyle counseling is the most effective non-pharmacological intervention. 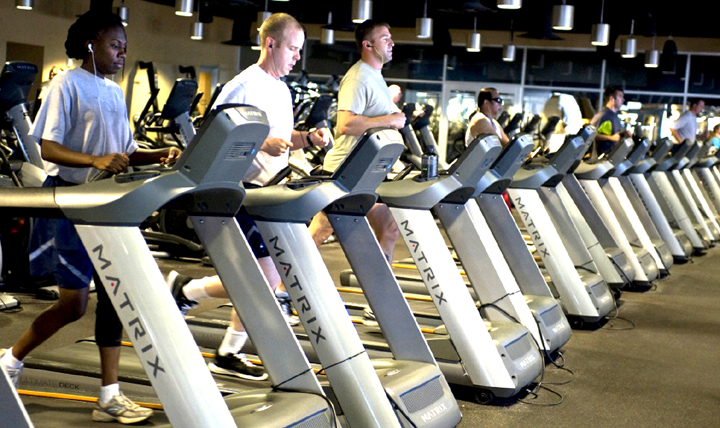 Exercise and dietary changes showed some effectiveness for reducing weight. Additionally, adjunctive use of topiramate may be helpful, but physicians should consider potential adverse side effects (such are cognitive adverse effects). Regarding other markers of metabolic and cardiovascular risk, metformin was effective for reducing glucose levels, homeostatic model assessment of insulin resistance and total cholesterol. Switching from olanzapine to aripiprazole or quetiapine assisted in lowering glucose levels. Dietary interventions were the only to improve diastolic blood pressure significantly. 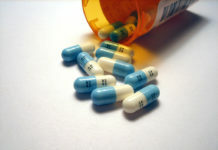 Since all the antipsychotics /neuroleptics can create both the negative and positive symptoms of schizophrenia, largely unbeknownst to the “mental health professionals.” The negative symptoms being created via neuroleptic induced deficit syndrome, and the positive symptoms being created via antipsychotic and/or antidepressant induced anticholinergic toxidrome. It’s likely wisest to wean those labeled as “schizophrenic” off the antipsychotics / neuroleptics, rather than merely switching them to other ones or other drug classes. But when one is weaned off the antipsychotics / neuroleptics, one is likely to end up with a drug withdrawal induced “super sensitivity manic psychosis.” However, as long as the extra energy is put towards exercising and other productive endeavors this is actually a good thing. Although, if the drug withdrawal induced “psychosis” is a bad thing, some sort of talk therapy may be needed. But a drug withdrawal induced “psychosis” is not always a bad thing. Mine merely resulted in a “born again” type tale, which wasn’t bothersome for me at all. But, of course, this was bothersome to some “mental health professionals,” who only care about their own finances, not other people’s health. The best intervention would be to carefully reduce and stop poisoning the “schizophrenics”. dean ornish and lifestyle medicine…. 4 important areas of concern…. Ornish was absolutely on target when he started writing this stuff back in the 70s. Naturally, he was roundly attacked and ostracized by his peers at the time. Now everyone makes Ornish’s recommendations, but I never heard any apologies or crow-eating on the part of the big medical system. It is amazing how often truth is obscured in medicine when it conflicts with habit or profits. There is no evidence that aripiprazole, topiramate, d-fenfluramine, quetiapine and metformin improve health. Indeed, these drugs have not been compared in double-blind vs placebo or non-medication for naïve subjects. In contrast, all the cited studies about aripiprazole, topiramate, d-fenfluramine, quetiapine and metformin compared these drugs with other psychiatric treatments (see sources in the meta-analysis). The only thing this meta-analysis found is that these 5 drugs have less harmful effects than other psychiatrics treatments, if we take into account only a single class of biological variables, related to metabolism. This is an extremely weak conclusion, almost without interest. Thus, patients who are most exposed to the psychiatric drugs (multi-episodes patients) have a worse health than those who are not exposed to the drug (drug-naïve patients), several conditions being equal (which, I don’t know). It is dishonest to say that aripiprazole, topiramate, d-fenfluramine, quetiapine and metformin, have a beneficial effect on health, since these drugs have been tested on people severely intoxicated by neuroleptics. In the best case, the only thing we can conclude is that these drugs are less toxic compared to other psychiatric treatments, according to a single class of biological variables, relative to the metabolism. None of the cited studies prove that these drugs improve health compared to the total absence of psychiatric treatment. The naive-patient meta-analysis suggests the opposite. Oh great let’s all have some. And for those whose dopamine system is already whacked and edging towards parkinsonism, let’s whack it some more because it’s good for the waistline? Alternatively, just come down off the antipsychotics? Only 1 in 6 benefit anyway. Tsk tsk. How dare you “pill shame” Concerned Carer? HOLOCAUST is the right word. Tell me how slowly poisoning someone over the course of 10-30 years is any kinder than quickly killing them in a gas oven. It is more profitable to poison them slowly over 20 years than to outright kill them. You got that right. Profitable for psychiatry and pharmacy companies, but bad for the economy as a whole. Crippling 20-25% of the next generation is very short sighted. But evil always is. Like the shamans for so-called primitive societies. The “diagnoses” of psychiatry are incantations and the “medicines” are talismans and elixirs. This belief system is called the Power-Threat narrative. It’s usually a religious system. Because people believe in the hexes the medicine man places on his enemies they can actually die. 5 million deaths in 10 years is a HOLOCAUST. That is why Peter C. Gotzsche got into trouble, for pointing out the elephant in the room. Coming off the cocktail of poisons helped me lose 40 pounds. The only reason these folks have poor health is those damn treatments. My own health is permanently wrecked. I lost weight once I was weaned off the drugs, too. “Schizophrenics” take chemicals that “switch them off”. Anyone like this, will die a lot sooner. People that have gained weight it doesn’t make you any less strong. The ymca here has a pool and also a family and therapy pool. They have a circle that is waist high water with a current. You can walk with current or towards. It’s also helpful to just walk in a pool if the water is shallow. It’s a curent of fortune with I at this time. Then I go eat at restaurant with them. I think about how I’m staring intensely at the decor man and then eat. It’s ideal to build muscle in legs and water fitness contributes to weight loss more than treadmill or gym bicycle. It’s the best way and due to science laws people feel very light in water. If you feel sensitive at gym pool you can buy a one piece suit and also second clothing item to go over waist and hips. Just my suggestions to the world. We need psychological Copernicus. Because apollonian ego is not in the center of the psyche, apollonian archetype (NORMALCY) is on the borders of psychological reality. And the center of the psyche has got nothing in common with normalcy. HOUSTON WE HAVE A PROBLEM HERE. Yes, we have. The problem is not the schizophrenia. The problem is with people who sold the soul to the butchers. Apollonians and their utopian fixations is the main problem of humanity. Apollonians wants to get rid of psychological man from authoritarian/egoic/material/empty/non human society of anti psychological biological machines.